Use DeLorme AG-009871-201 inReach SE as the real Global GPS Tracker and satellite communicator in the area without cellular coverage. Satellite-based voice communication and data transfer were available already back in last decades of 20-is century. Mainly satellite communication means were on commercial transcontinental shipping routes vessels and remote oil rigs. As a rule, they were wealthy companies which could afford high communication fares. Big, round, barrel-type white antennas yet so far can be seen on ships. Usually, it is the INMARSAT (International Maritime Satellite Organization) which provides telephone and data services to users worldwide. I remember that it was strict rules and restrictions for private use of INMARSAT phone although sometimes the money was not sorry when so much wanted to hear the voice of beloved on the other side of the globe after weeks of deep sea sailing. It is almost twenty years passed, and communication technologies are so skyrocketed but still no other way to communicate in the middle of the ocean just using human-made satellites, except message in the bottle. No need to say that timely and quality communication is one of the main business cornerstones. For commercial shipping, a continuous or continuously vessels position tracking is very important for many reasons like ETA (estimated time of arrival), cargo condition status information and many other live data. It could save much when timely information is always available, and the shore staff can respond in time. Let’s back to the topic. I have written about the GPS tracking solutions for pets, cars, boats and even GPS tracking for drones. Just in a couple of words to remind the GPS tracking system operational principle for the general case. 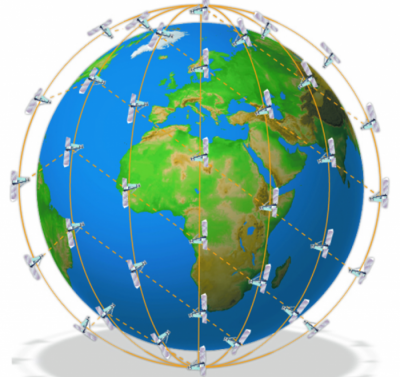 Tracking device receives GPS satellite signals to calculate a geographical position and after, on demand, send data via a cellular network to the user. In some cases, it could be WI-FI, Bluetooth network or UNB (Ultra-Narrow Band) as SIGFOX network which is exciting new technology. More detailed in a future post. Competition between mobile providers is tight, and they are offering more and more appealing products and services. Networks of GSM towers are growing like mushrooms. But, yes, it is one BIG BUT? Today’s technologies still cannot enlarge the range of GSM (Global System for Mobile Communications, originally Groupe SpécialMobile) signal and it is about 35 km (22 mi). So, no need to be so wise to calculate in which areas it is not accessible. First of all, it is clear that, for seafarers, GPS-GSM tracking mode is not a solution except some coastal and inland navigation. For the safety reasons in the International Marine Shipping, this shortcoming has been solved by the implementation of compulsory Global Maritime Distress Safety System (GMDSS) where one of the components is EPIRB (emergency position-indicating radio beacon station). A voluntary solution is a use of Satellite AIS (Automatic Identification System), unfortunately not hundred percent global coverage. One way or another, on the professional and industrial level, this issue is more or less solved. How about the private market and like you and me when we are about to sail seven seas or conquer high mountains? How to keep in touch with family, friends and more critical call for HELP? Perhaps even not go blabbing about weather and chat with kids but just to be tracked by someone who cares about you. I dare say that there is a good and affordable solution as DeLorme inReach SE satellite communicator. As I wrote in previous posts that to use live GPS tracker the unit should have a possibility to transmit the satellite signal. Usually, we use a mobile network where it is available, but in remote regions like high seas, mountains, etc. satellite communication is the only solution. Let’s look at DeLorme AG-009871-201 inReach SE Iridium satellite communicator. „Iridium satellite system is used to provide voice and data coverage to satellite phones, pagers and other equipment with full global coverage (including the poles). In January 2017 Iridium NEXT is about to be launched. It means that Iridium is replacing its existing constellation by sending 70 Iridium satellites into space. You can find other similar devices, but only I would like to note that DeLorme team recently joined to Garmin family. All of us know its high reputation in the market, and prices for inReach Series devices are very friendly. This device is not a phone so we cannot use it as voice communication means. Satellite phone is another but the much more expensive choice. What we can do with the help of DeLorme inReach SE. -Stand Alone mode. You can use it without the tools mentioned above. And finally- Tracking and Locating feature. If you want more detailed information type in search engine DeLorme inReach SE, and you can find more info. Just a couple of words about service fees and costs. More detailed information look at Delmore website just some figures. Plans range from $12 to $100 a month and vary as to yearly fees. 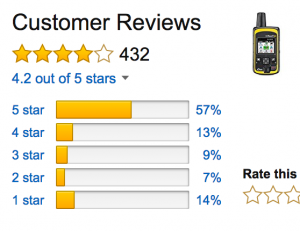 According to Amazon com, more than 400 customers reviews are 4.2 out of 5 stars. It is the high evaluation. I highly recommend DeLorme AG-009871-201 inReach SE or similar when you are about to go long-term and wild adventure where no conventional communication tools like cell phones are available. I guess that it is the device which is irreplaceable under certain conditions. Just one warning or remark regarding some information I noticed on the net which can lead customers to make a wrong choice. In one of the reviews about „The 8 Best Handheld GPS Trackers to Buy in 2017“ is short about a „DeLorme’s inReach Explorer.“ Everything is correct, except no any word about what it is Iridium Satellite-based GPS tracker. It is important for customers to know that additional communications fees, different than cellular, is imminent. Previous Previous post: Is Passive GPS Tracking the Only Solution When Cellular Signal is not Available? Thanks Kerron for your interest and question. Yes this device is designed for maximum durability in harsh environments (waterproof, dustproof, and impact-resistant). Even more, you can purchase Cushioning neoprene case provides protective and flotation capabilities for your in Reach SE or in Reach Explorer. There are so many times I wish I had a hand held GPS. Last summer I was out in no-man’s land with some friends and although we had cell phones, there was no service so we really could have used a GPS device. We wasted a good 2 hours trying to get back to an area with cell service so we can get out of the area we were in. Thanks for providing links with prices too. Thanks Mike for stopping by. Yes, it was not done wisely and thanks, God that you and friends are ok. Luckily almost every latest smartphone have GPS receiver, but without cellular network, it is useless as GPS tracking device. Iridium satellite signal is global and for your safety and to your relatives could sleep in peace a couple of hundred bucks is worth to spend. This is a very great and informative review. i’m not really into exploring the wild and mother nature but it will be great to have a tracker handy for security reasons.Since Delorme GPS tracker can be used in areas without coverage and has positive reviews so far, it wont be a bad idea to pick this up now. Thanks so much for sharing really appreciate it!!. I found Delorme GPS tracker after my friend asks me for advice about what could be the best choice for alpinist. A traditional tracker with cellular GSM transmission options does not work in high mountains just because of lack of network. Delorme operates on IRIDIUM satellites and is the only real tracker method for the moment. In fact, it is really must have the device regarding safety in case of an emergency situation. I can not emphasis enough how important it is to carry a life line like this to the rest of the world. I used to work in the remote outback of Australia. We carried Satellite phones in case of emergency but they were pretty basic and no GPS. It is quite amazing that you can get a DeLorme inReach SE Satellite Tracker that has so much functionality for only a couple of hundred dollars. Hello, Alex from Down Under. A conventional satellite phone is a good device in a remote area, but communication costs still are high comparing even with Iridium phones. 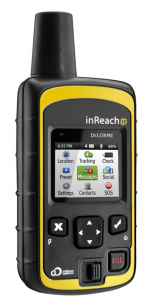 DeLorme InReach is the most cheaper GPS tracking solution in Non-GSM coverage areas. Although exist a way how to use Inmarsat phones as GPS trackers as well e.g.RedPort Optimizer. Hey bud, I have the DeLorme InReach SE GPS Tracker and love it just. I am an avid camper so I like to take it out on my travels to ensure me and my family has a backup plan in the event something goes wrong. I have NOT needed to use it but I dare hope we never have to. I’m probably going to get at least one or 2 more considering the affordable price tag and the quality of it! Thanks for this review brother. Hello Brandon. You said perfectly that it was better to never use a tracker. I missed two ducks from my backyard yesterday. I don’t think it’s foxes or big birds because there’s no feathers and traces of fighting. Most likely to be thieves. I have a surveillance camera, but I was stingy and bought without record options. Just a couple of hours ago as I ordered another camera Sricam SP008 that has a movement detector and also records video. I hope I won’t need to see the records and look for signs of thieves. I was fascinated by the fact that there are 66 satellites orbiting the globe making satellite communications a lot more effective, I learnt a lot from this and the term iridium. It is quite an outlay to purchase the Satellite Phone outright and then also having to pay a monthly fee. It would appear it is quite a costly investment. My question to you is, are there any options to have a pay as you go option so that you only pay for using the device when you absolutely need to use it. Let’s say you only go on safari once a year, the rest of the year you won’t necessarily use the Satellite Phone as you’d be in an area where the mobile phones are covered. It would be silly to pay a monthly fee for the most part of the year if you’re not going to use it. It would make more sense to only pay usage of the Satellite Phone when on safari. Do you know if this is a possible option? The great question on Iridium fees. You do not have to be a customer with GSM operator-like rules. There are different options, but I think the most convenient thing is to buy Iridium Satellite Phone Prepaid SIM Card. It can be ordered by even on Amazon at a reasonable price and different time intervals.